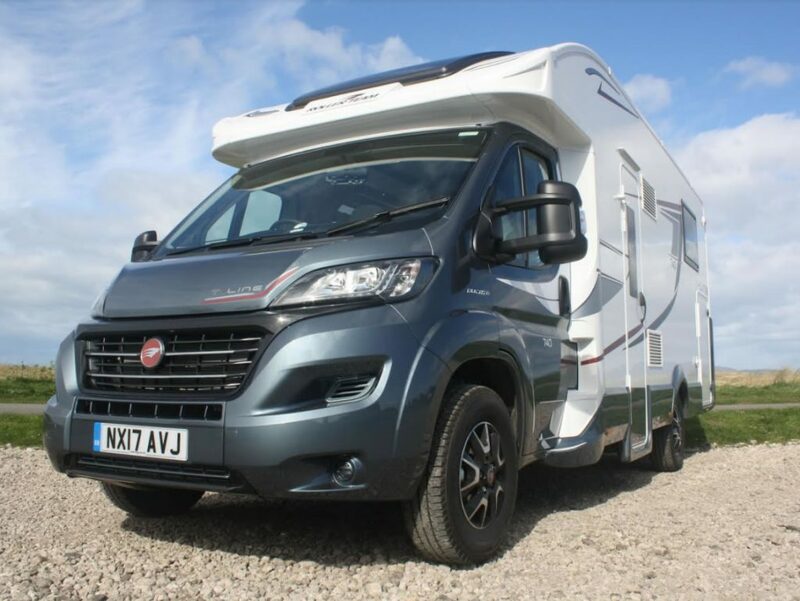 Our Rollerteam T-Line 740 is four berth and fully equipped, ready for you to drive away in and enjoy. It is the 2017 model and is top of the range. It has a fixed island double bed, accessed from both sides, and an electric drop down double bed (accessed via a small ladder) so when you’re ready to call it a day, your bed is ready for you with just the press of a button. 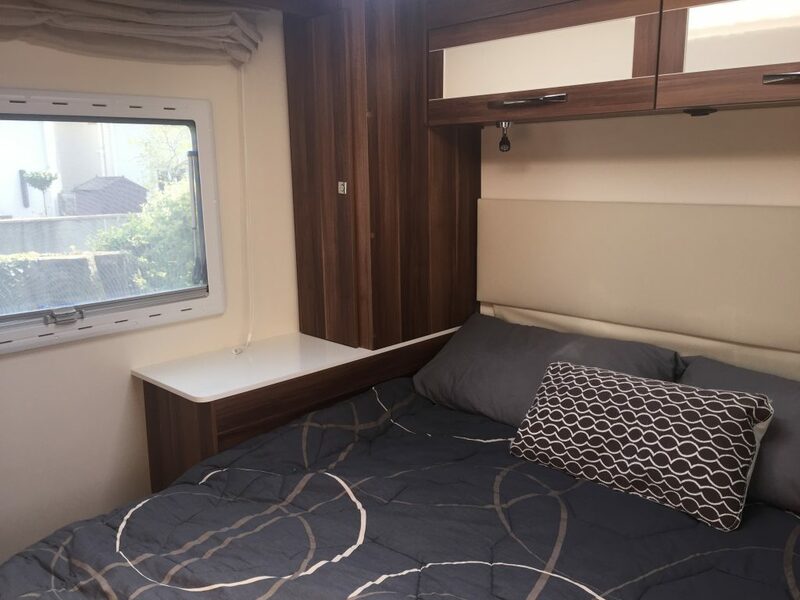 The rear bedroom has ample storage, including wardrobes, and an Avtex TV with built in DVD player. 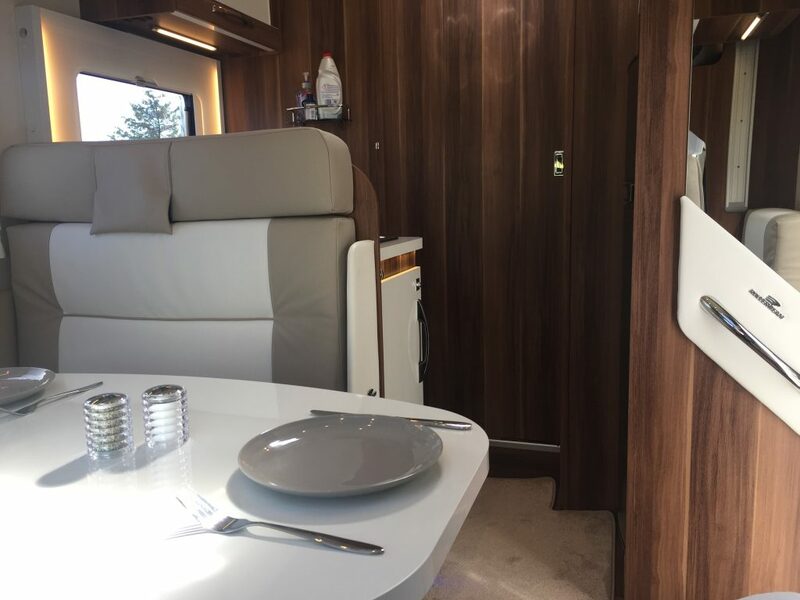 The bathroom is in the centre of the vehicle and the Jack and Jill design allows you to separate the two sleeping areas; it has a toilet, sink and shower as well as mirrors and plenty of storage. 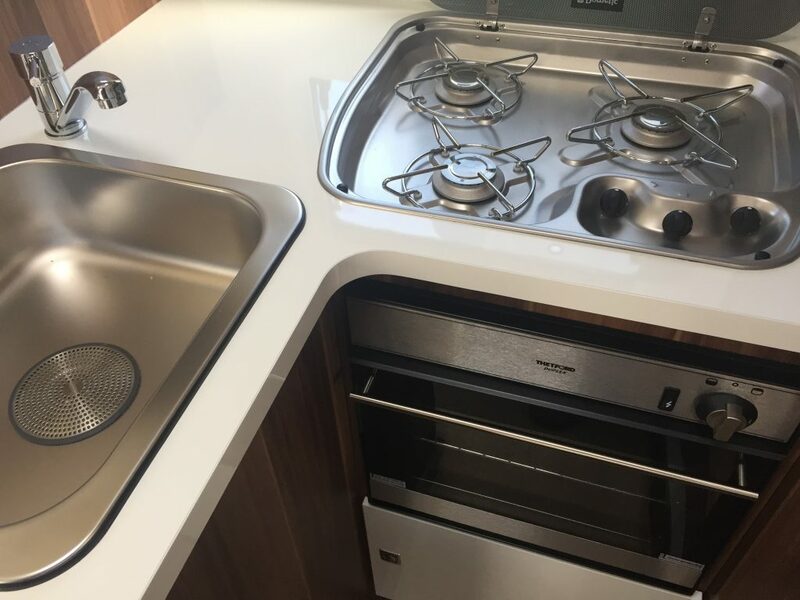 The kitchen comes well-equipped with crockery, cutlery and cooking utensils, and has a three-ring gas hob, gas oven/grill, fridge-freezer, sink and storage. 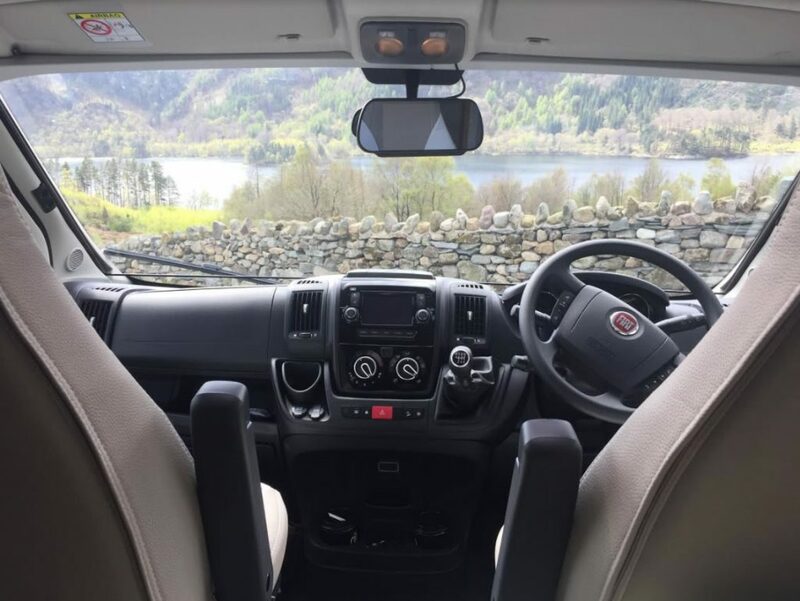 The lounge has an Avtex TV with built in DVD player, adjustable dining table, and the driver and passenger seats can swivel to create alternative seating. It has a substantial garage, providing extra storage space; somewhere to dry off wet clothes, keep muddy boots or carry bulky belongings. 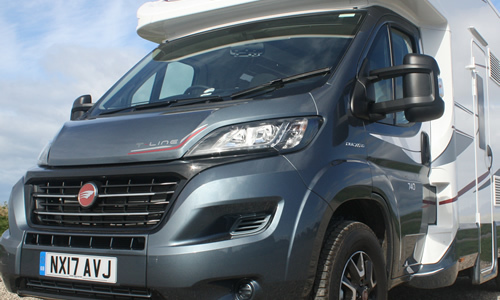 It is also fitted with a bike rack capable of carrying four bikes. 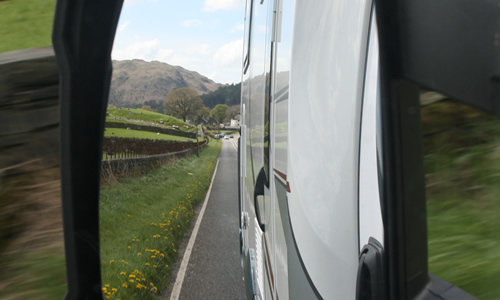 Our motorhome has a maximum weight limit of 3500kgs, meaning that anyone with a standard driving licence is able to drive it, subject to meeting the driver requirements outlined in our Terms and Conditions. 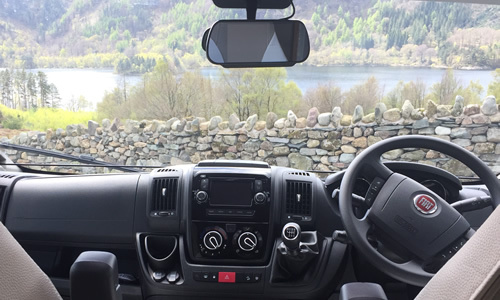 Included in the hire price are towels, bedding, a full tank of LPG and kitchen essentials (salt, pepper, cooking oil, washing up liquid, dishcloth, tea towel). We also provide a picnic table and chairs, camping chairs, DVDs and outdoor games. Well behaved dogs are welcome (for an additional charge) and we provide a crate for their safe travel.